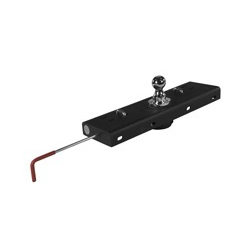 The CURT Double-Lock Gooseneck Hitch offers an effortless and highly dependable hitch for your Gooseneck Trailer. Feel secure with the "Double-Lock" security system and when you are not towing, the trailer ball removes for complete access to your truck bed. Up-to-date Double-Lock & Quick Goose 2 application information can be found by clicking the following link.